Multi Packaging Solutions (MPS) facility on the Wrexham Industrial Estate in North Wales specialises in the production of self-adhesive labels for the branded and healthcare markets. The site is one of over 15 locations in the UK and part of an international network to serve customers on a global basis. With the above points in mind, Lyan Packaging carried out analysis into MPS’s current packaging solutions to see where both improvements and cost savings could be made. The ultimate purpose of packaging should be identification, and to protect the product inside. Making the decision to invest in high quality packaging that is fit for purpose will save you money in the long run. If the product isn’t protected, returns will increase as breakages will happen more regularly which will have a negative affect both financially and on the reputation of the company. The end result was a range of bespoke transit cartons which were customised on both size and print. 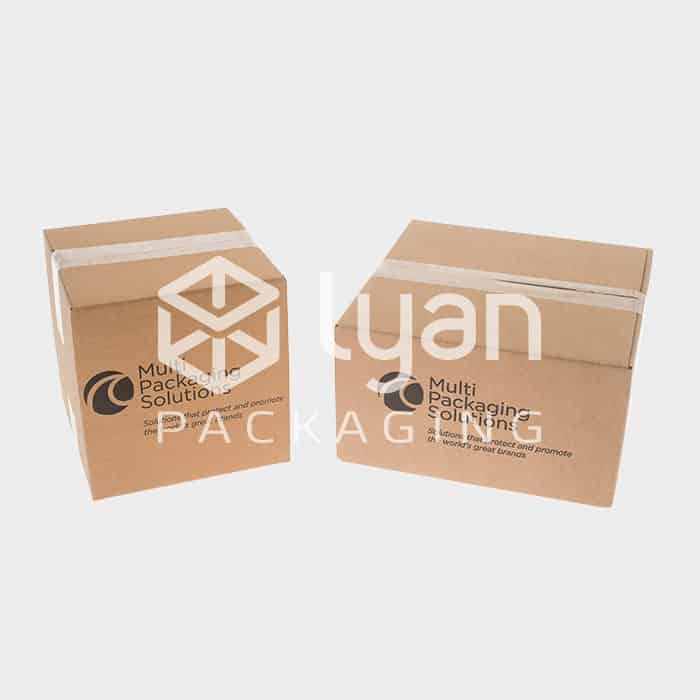 Once the packaging requirements had been agreed a stock management system was put in place, where Lyan Packaging provide MPS with a weekly stock sheet detailing all of their products that we are holding in stock. This ‘Just In Time’ delivery system enables our customers to hold a minimal amount of stock, reducing their warehousing costs. From this we are then able to advise MPS when they are low on stock, and when a new covering order is required. We arrange for the boxes to be delivered as and when MPS need them, and usually within a couple of days. “Using Lyan Packaging has certainly helped MPS with a reliable service needed on all of our packing products, if we need to get hold of anything quickly then Lyan source the product for us and supply in to us. Since changing over to Lyan Packaging on our outer cases we have seen a big reduction in damaged deliveries into our customers. We do have a stock holding service and we are always given a weekly report highlighting areas where we need to increase our levels and this is done quickly so that we do not run out of packaging material. If we have any queries Lyan are always there for us and are always helpful”. We approach each project individually; working with you to understand your requirements, and to ensure every eventuality is explored in order to meet your expectations.